Being a dad is perhaps the greatest thing ever! Hi, there! 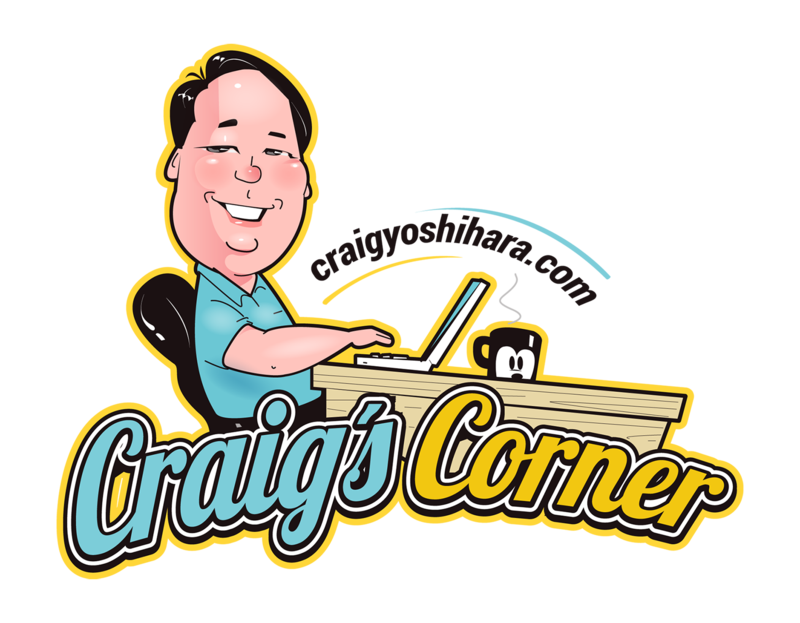 My name is Craig and I’m your host today and everyday you come to visit my blog. For those of you who don’t know me, I’m a pastor by profession and by vocation. I am blessed to do something that is a passion for me AND is a career at the same time. Currently, I’m serving at Berkeley Methodist United Church in Berkeley, CA with a group of dedicated, loving, and hard-working people who want to make a difference in our community and our world. If you’re ever in the area, I hope you’ll stop by and worship with us! I haven’t always been a pastor. I began my professional career in marketing! And even that was something I stumbled upon. As a child, I hoped to become a doctor. I had two awesome pediatricians growing up – Dr. Thom and Dr. Crehan – who were such inspirations for me that I knew I wanted to dedicated my life to helping people. Medicine was my avenue of choice. But when I got to college, I discovered medicine was not my thing and I spent quite a bit of time searching for something that fulfilled me. It wasn’t until I began to explore a career in ministry that everything started to click. I didn’t grow up in a Christian household either. My parents were nominally Buddhist when I was a kid. But it was my mom who first introduced me to the concept of God. When my grandmother died, I asked her where she went and my mom said, “I believe she is in Heaven with God.” Where was this God? Where was Heaven? Could we take a bus and go visit her? So began a lifelong journey of questions that still hasn’t ended. Throughout my life, I have had doubts about God. I have wondered if the Bible was true. I have been bothered by seeming inconsistencies in the Bible. And through it all God was patient with me. He saw me through my own crisis of faith and put people in my life who helped me find the answers I was seeking. As a pastor, I hope to do that for others. I know what it’s like to go through doubt and to question God. I know what it’s like to struggle with a sense of purpose. And maybe in some small way, I can help with your journey as others have helped me with mine. One of my favorite Daddy Daughter Days in the park ever! You’ll find me to be pretty down to earth. I love my family and friends. Being a dad is perhaps the greatest role I’ve been blessed to have. My goal is to be the best father, husband, son, friend, and pastor that I can possibly be and use the gifts God has given me to do so. I love Disney and even worked at Disneyland for a number of years while in college. I still think the first Star Wars is the best Star Wars (and really can’t get used to calling it A New Hope). Captain Picard is my favorite Star Trek captain. I can quote almost all of The Princess Bride. And Sports Night is still my favorite TV show ever. Anyway, that’s enough about me. I hope you enjoy what you read here in this blog and I would appreciate any feedback you feel like sharing with me! Take care! *All material is copyrighted by Craig Yoshihara. You are welcome to quote from and use the material as long as you give proper source credit in your designated media and is for non-profit use.